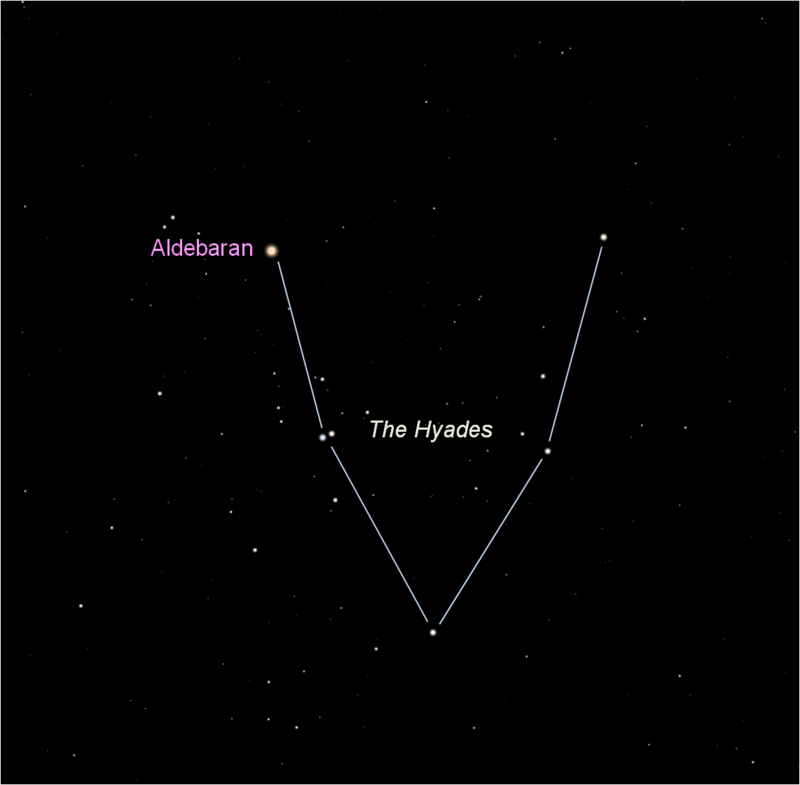 The face of Taurus, the bull, is outlined by the Hyades star cluster, which forms a rough letter V. The brightest star in the V, Aldebaran, is not a member of the cluster; the giant star is only about half as far as the Hyades. The cluster is less than one billion years old and spans about 65 light-years. It is well up in the west as night falls on early April evenings.